Sideshow Theatre Company is pleased to announce casting for its world premiere of Kristiana Rae Colón’s spectacular and fearless indictment TILIKUM, directed by Lili-Anne Brown. TILIKUM will feature Sideshow ensemble member Matt Fletcher* with Gregory Geffrard and Sigrid Sutter. TILIKUM will play June 22 – July 29, 2018 at Victory Gardens Richard Christiansen Theater, 2433 N. Lincoln Ave. in Chicago. 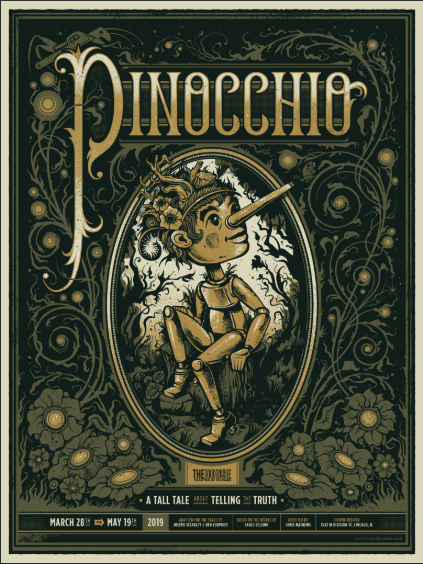 Tickets go on sale Wednesday, June 9, 2018 at www.victorygardens.org, by calling (773) 871-3000 or in person at the Victory Gardens Box Office. Tilikum was a king, and the oceans of the world were his. Now, he is a captive in a marine amusement park, doomed to live as an opportunity for profit. Alone behind bars he forgets the feel of freedom, but when fellow prisoners ignite the fires of his memory, he starts down a path that threatens to consume everything. 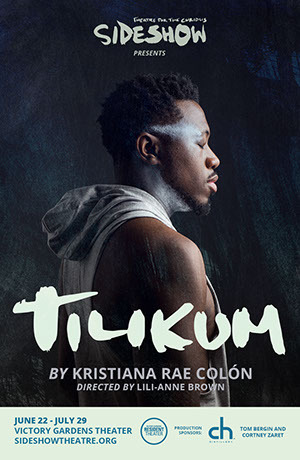 Ripped from the headlines, Kristiana Rae Colón’s Tilikum explores captivity, violence and rebellion in a vital and visceral blend of theatre, drumming and dance. Poetic and lyrical, Tilikum calls out the power structures – both corporate and human – that ensure continued oppression, and the complicity of those willing to stand by and do nothing. 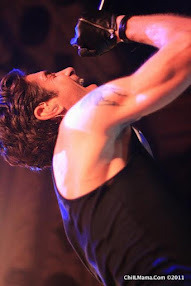 Comments Sideshow Artistic Director Jonathan L. Green, "Tilikum will be a spectacular, heart-pounding experience. When we commissioned this play through our Freshness Initiative program, we knew that the work would be fiercely political with a wicked sense of humor, and still we were blown away when the first draft came in. 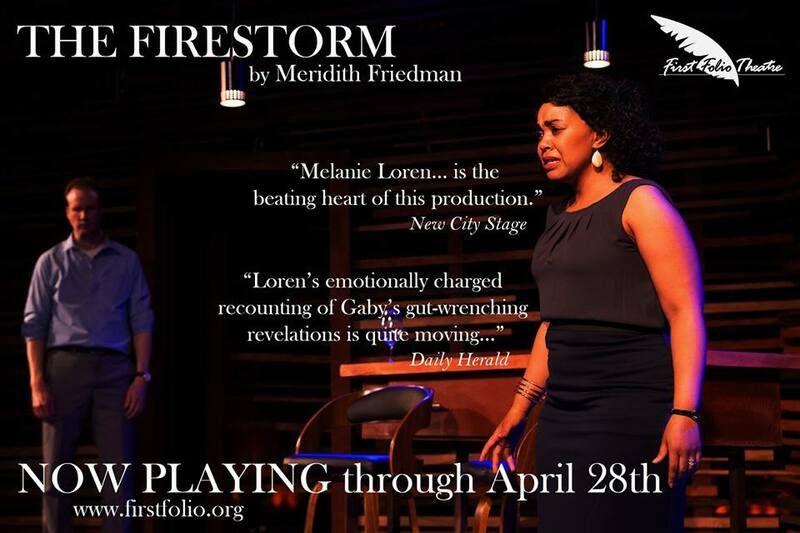 Kristiana Rae Colón is one of the most essential voices in playwriting right now, and we consider ourselves lucky to be presenting this world premiere." The production team for TILIKUM includes: William Boles* (scenic design), Izumi Inaba (costume design), Jared Gooding (lighting design), Victoria Deiorio (sound design), Amy Peters (properties design), Coco Elysses (composer, music director), Melissa DuPrey (composer, musician), Noelle Simone (choreographer), Isaac Gomez (dramaturg), Chad Hain (technical director), Benjamin W. Dawson* and Ellen Willett* (production managers). Tickets: Previews: Pay-what-you-can (online or at the door). Regular run: $20 – $30. Students/seniors/industry: $15 for all performances (excluding opening). Tickets go on sale Wednesday, June 9, 2018 at www.victorygardens.org, by calling (773) 871-3000 or in person at the Victory Gardens Box Office. Lili-Anne Brown (Director) is a native Chicagoan, who works as a director, actor and educator, both locally and regionally. She is the former artistic director of Bailiwick Chicago, where she directed Dessa Rose (Jeff Award), Passing Strange (BTA Award and Jeff nomination for Best Director of a (Musical), See What I Wanna See (Steppenwolf Theatre Garage Rep) and the world premiere of Princess Mary Demands Your Attention by Aaron Holland. Other directing credits include The Wolf at the End of the Block (16th Street Theatre), Marie Christine (Boho Theatre), Peter and the Starcatcher (Metropolis Performing Arts), The Wiz (Kokandy Productions), Xanadu (American Theatre Company), Jabari Dreams of Freedom by Nambi E. Kelley (world premiere, Chicago Children’s Theatre), American Idiot (Northwestern University); the national tour of Jesus Snatched My Edges; and Little Shop of Horrors, Hairspray, Unnecessary Farce, Cabaret, Sweet Charity, The 25th Annual Putnam County Spelling Bee and Buddy: The Buddy Holly Story at Timber Lake Playhouse. She is a member of SDC, SAG-AFTRA, and a graduate of Northwestern University.